When your car needs to be decontaminated before polishing, you need 3 essential things.This kit features the perfect products to lead you on the way to perfect paint. 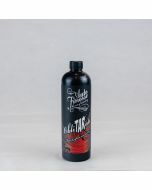 Firstly a tar remover is required to remove those stubborn tar spots. Dedicated tar and glue removal products like ObliTARate help to dissolve and remove contamination before you even touch your car. 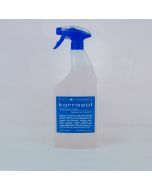 This minimises the possibility of marring and scratching paintwork and extends the life of your detailing clay bar. Auto Finesse ObliTARate can dissolve even the most extreme contaminates, like traffic cone rash from auto-crossing, gaffer or duct tape from temporary camera mountings, undercoating overspray, and residues from factory protective wax coatings. Secondly, you need to ensure that the paint surface is free from iron contamination. Auto Finesse Iron Out is an advanced, pH neutral, reactive gel formula that specifically targets only iron-based contamination. It is suitable to use on all exterior surfaces, including paintwork, aluminium, magnesium, stainless steel, anodized finishes, chrome, glass, plastic, and even rubber. 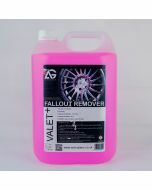 Iron Out also contains strong degreasing agents to help loosen road films, making it a powerful force in the decontamination process. Thirdly, a clay bar. The Auto Finesse Detailing Clay Bar comes as a 200g block and is made from an ultra-fine grade of natural Kaolin clay. This structure allows it to be both more effective against contamination, and less abrasive on sensitive paintwork than common polymer clays. It will efficiently remove both organic contamination (Tree sap, mineral deposits from rainwater, protein deposits from insects and bird droppings. ), and inorganic contamination (Light tar and iron deposits, industrial pollution, paint overspray, etc.) on practically any hard surface. Paint, alloy wheels, glass, bright work trim, and even gloss-finish plastics can all benefit from being clayed. To aid the claybar to glide over the paint surface a good clay lube is essential which is why a 500ml bottle of glide clay bar lube is included.